Located inland from Margate, the Katooa Tramway Track offers an unobtrusive 12km return stroll through dry eucalypt forest. The walk is lightly graded and easily managed by walkers of all fitness levels, climbing only 200m to the top. Originally used to transport coal in the early 1900’s the converted track is quite wide, making it an ideal choice of trail runners or mountain bikers. 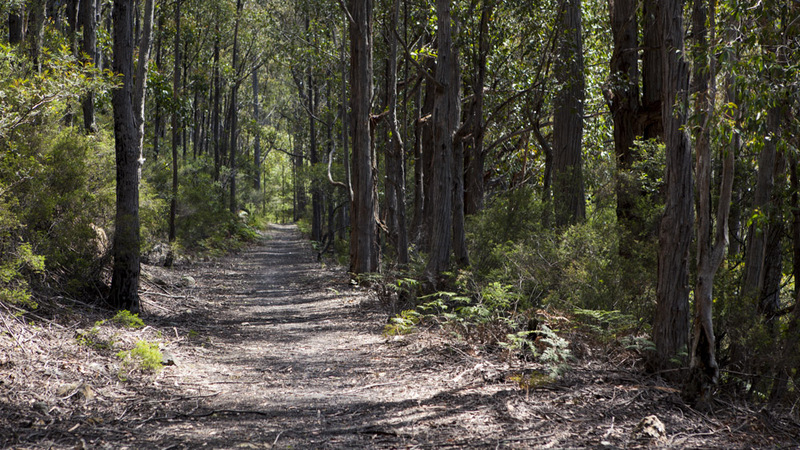 Although many native animals can be spotted along the track, the walk unfortunately offers very little view. Only minimal signs of the trails history are uncovered to walkers lucky enough to spot them. 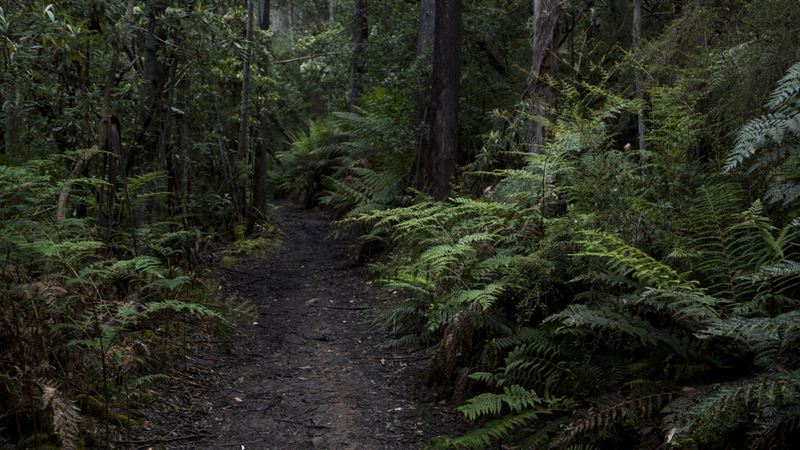 Walkers wishing to extend this walk can include the Nierinna Creek Track which extends from Lawless Road. View Google Map Directions From Hobart head south along the Southern Outlet (A6), continuing on the Kingston Bypass after 10km. At the roundabout take the 4th exit towards Margate for 5km before turning right onto Sandfly Road. Take first left onto Nierinna Road, continuing for 3km before taking the right hand fork onto Lawless Road. 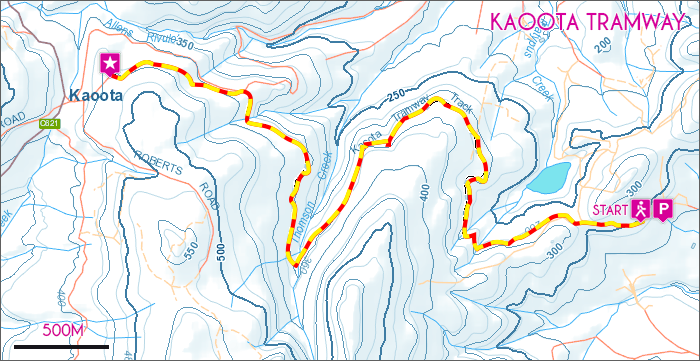 The Kaoota Tramway Track begins near the end of this road.